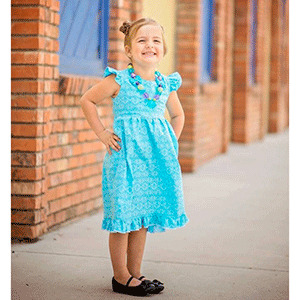 This pattern is for a perfect summer dress for the pretty little girl in your life! 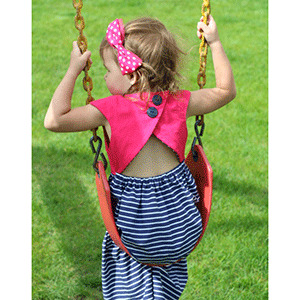 The bodice comes with two options: flutter sleeve and faux cap sleeve. It is fully lined for a professional look. The pattern comes with instructions to create a dress length with or without a ruffle, and a maxi length. The best part of this pattern is the back! It features a open back reminiscent of a beautiful tulip. The back is adorable but still modest! The back skirt has an elastic casing to hold it up. 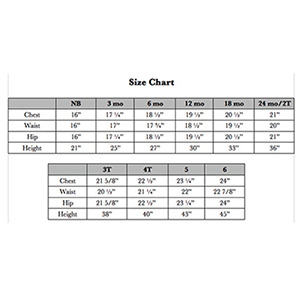 The front of the bodice is perfect for adding embroidery or applique designs. This pattern is available in sizes newborn to 6. Suggested fabrics are and specialty woven, satin, and calico cotton.